We are the market leader in Conference Courier Services taking care of our customers' exhibition stands and materials to world-wide events to include set-up, dismantling and warehousing. 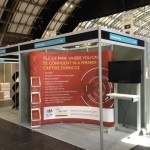 We can also design, manufacture and build your portable and bespoke stands. 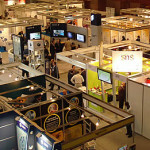 Whatever you're exhibiting, whether machinery, equipment or art works, EBISS is the #1 specialist in event logistics. With proven world-wide ability and a network of trusted partners, look no further for your event logistics. When you're looking for someone to handle your shipping whether courier, air, sea or road, EBISS is the only call you need to make for your logistics needs.